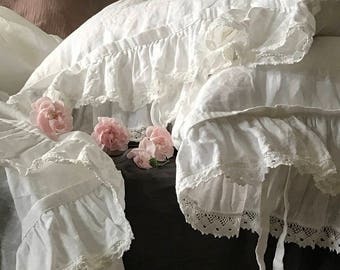 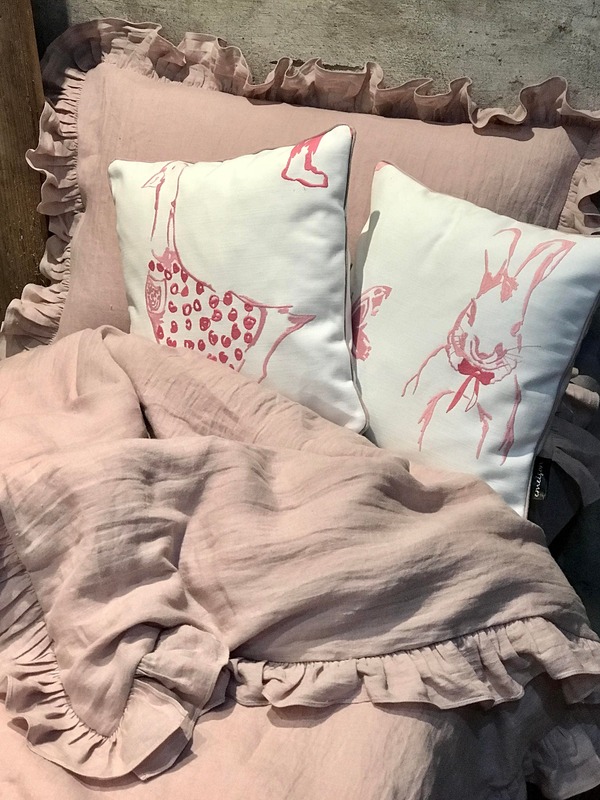 This duvet cover and pillowcase made of particularly soft, washed linen in powder pink color, which is very light, smooth and lovely to the touch. 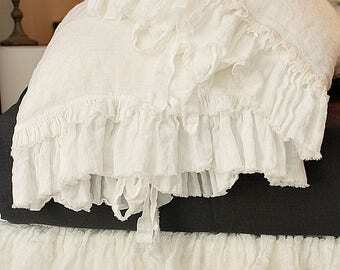 The pillowcase and a duvet cover feature 3 sides ruffles. 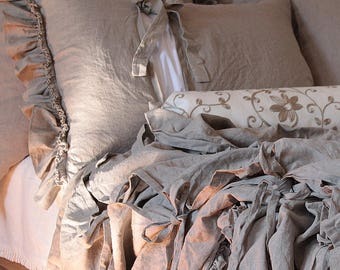 Ties closure in a duvet cover and an envelope in a pillowcase. 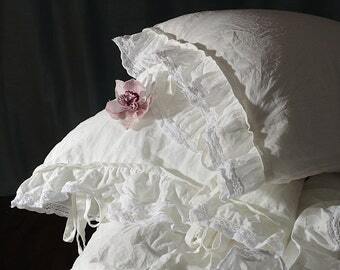 Pure linen is recommended for infants, children, people suffering from allergies and those who value sleeping well, healthily and in comfort. 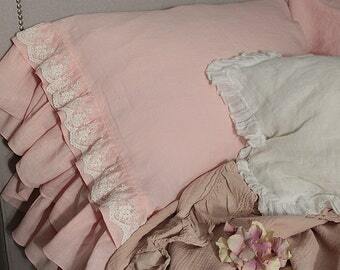 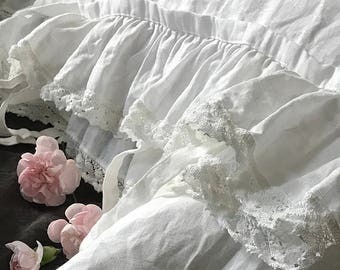 Description: soft powder pink Linen; finished with triple ruffle. 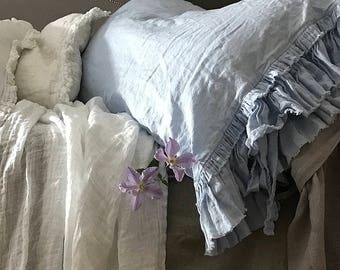 Pillowcase with an envelope closure. 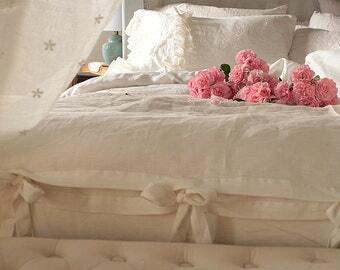 Ties fastening in the duvet cover.